This 782-acre pristine canyon is often referred to as “the Jewel of the Gaviota Coast.” Purchased from the Hollister family in 2001 by the Land Trust for Santa Barbara County, Arroyo Hondo is the only Land Trust acquisition retained and operated by the Land Trust as a historical and nature preserve. With a strong habitat restoration problem, natives now flourish, and thanks to a fish baffle system, trout now freely migrate up and down the most pristine creek in SB County. In 2002 the Oak Group partnered with Big Sur Land Trust in the Land and Legacy exhibition at the Monterey Museum. The mission of the Big Sur Land Trust is to inspire love of land across generations, conservation of the unique Monterey County landscapes, and access to outdoor experiences. Since 1978, BSLT and partners have conserved over 40,000 acres throughout Monterey County. California State Parks are comprised of 280 separate parks on 1.4 million acres, with over 280 miles of coastline, 625 miles of lake and river frontage, 15,000 campsites, and 3,000 miles of hiking, biking, and equestrian trails. The California State Parks system is the largest state park system in the United States. A 2013 Oak Group exhibition raised funds for California State Parks Foundation, the fundraising arm of State Parks, dedicated to protecting, improving, and advocating all of California’s state parks. The Land Trust for SB County launched, in 2016, an ambitious $7.9 million campaign to purchase a small but important portion of the larger Carpinteria Bluffs area that overlooks Rincon Point, Carpinteria Bluffs III, one of the last remaining undeveloped coastal properties between the western edge of Goleta and the Ventura County line. Just over one year later, in partnership with Citizens for the Carpinteria Bluffs, the City of Carpinteria, the County of Santa Barbara, and more than 1,300 community members, the Land Trust successfully raised the entire $7.9 million needed to complete the purchase, initiate restoration, and ensure long-term maintenance of Carpinteria Bluffs III. With the successful purchase of this 21-acre property, renamed Rincon Bluffs Preserve, over two-thirds—73 acres—of the entire Carpinteria Bluffs open space has been protected from development in perpetuity for the public’s enjoyment. By the end of the year when all private and public/government grant funding is placed into escrow, the property will be conveyed to the City of Carpinteria for long-term stewardship. 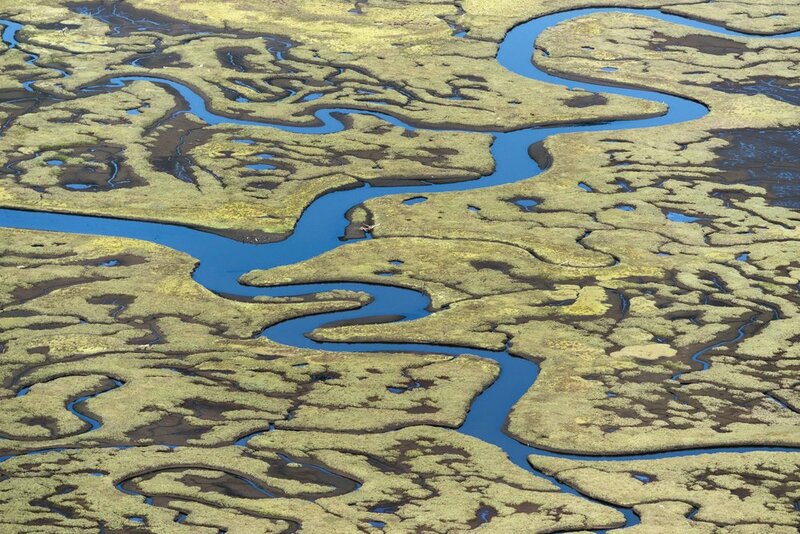 This 280-acre reserve is one of the few remaining coastal wetlands in California. The marsh is a thriving ecosystem filled with rare birds, fish, snails, sharks and plants, nestled in Carpinteria near U.S. Route 101. It became part of the UCSB Reserve System in 1977 and later increased in size and scope by a partnership with The Land Trust of Santa Barbara County and the City of Carpinteria. Restoration of the tidal channels and plant habitat was completed in 2006, funded through State and agency grants to the Land Trust. An adjoining Salt Marsh Nature Park owned by the City of Carpinteria is open to the public via a pedestrian bridge and public trail. Close to the California mainland, yet worlds apart, Channel Islands National Park encompasses five of the eight California Channel Islands—Anacapa, Santa Cruz, Santa Rosa, San Miguel, and Santa Barbara. The Park includes their ocean environment as well as the islands themselves, preserving and protecting a wealth of natural and cultural resources. The park bridges two biogeographical provinces and harbors the biologic diversity of over 1,000 miles of the North American coast. The Channel Islands are home to over 2,000 plant and animal species, 145 of which are endemic. Isolation has allowed evolution to proceed independently on the islands. Marine life ranges from microscopic plankton to the blue whale, the largest animal to live on Earth. Archeological and cultural resources span a period of more than 13,000 years of human habitation. The protection of these fragile island resources was ensured when Congress, in the act that created the Park in 1980, established a long-term ecological monitoring program to gather information on the current health of resources, and to plan recreation, conservation, and restoration programs while enabling early identification of critical issues. 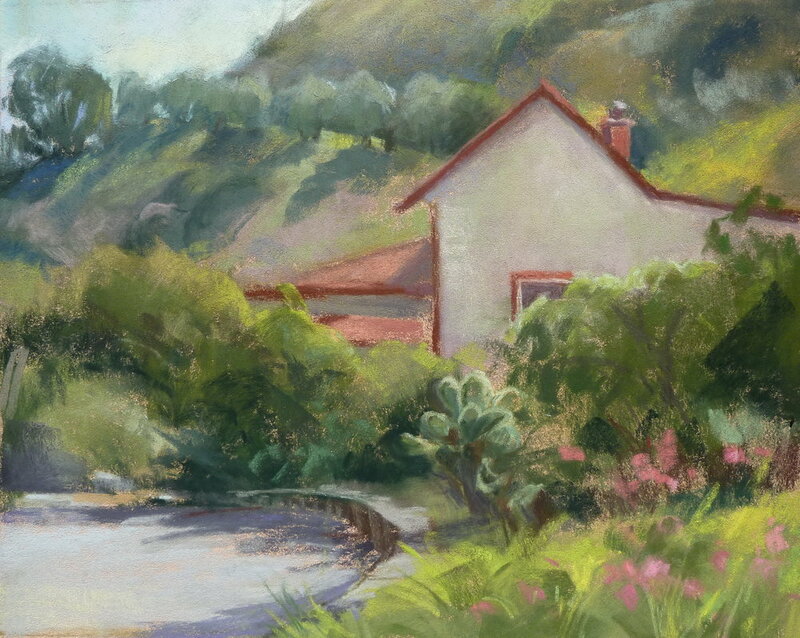 Formerly known as the Wilcox Property, the Preserve is located on a mesa above Arroyo Burro Beach in Santa Barbara. The property spans 70 acres, the largest coastal open space within the city limits. The old Wilcox nursery operated there from 1949 to 1972. When business closed several development plans were put forward including a luxury hotel, subdivision, and a retirement community. For a decade Santa Barbara residents, SWAP, The Oak Group, and others collectively raised more than $2 Million to help the Trust for Public Land purchase the property in 1996 for $3.6 Million. Now a city park, the property was named “Douglas Family Preserve” in recognition of a major contribution by actor Michael Douglas. Eastern Sierra Land Trust was formed by volunteers in 2001; it works to preserve critical lands in the California and Nevada portions of the Eastern Sierra Nevada. The group has helped preserve 12,500 acres on 21 properties: critical habitats, prime agricultural lands, and beautiful scenic vistas. Between 2008 and 2010, Oak artists journeyed to the majestic East Sierra to paint in partnership with East Sierra Land Trust and in September of 2010 exhibited their work, raising $30,000 for ESLT’s preservation projects. The Oak Group raised awareness and funds for the historic Franklin Trail in Carpinteria through the 2011 Frontcountry exhibition. This five-mile trail renewed public access to the backcountry and the extensive network of Santa Barbara trails. Hikers, bikers, and equestrians are able to enjoy access into the Los Padres National Forest. This is the last piece of undeveloped coastline in Southern California, extending 76 miles from Coal Oil Point to Point Arguello. 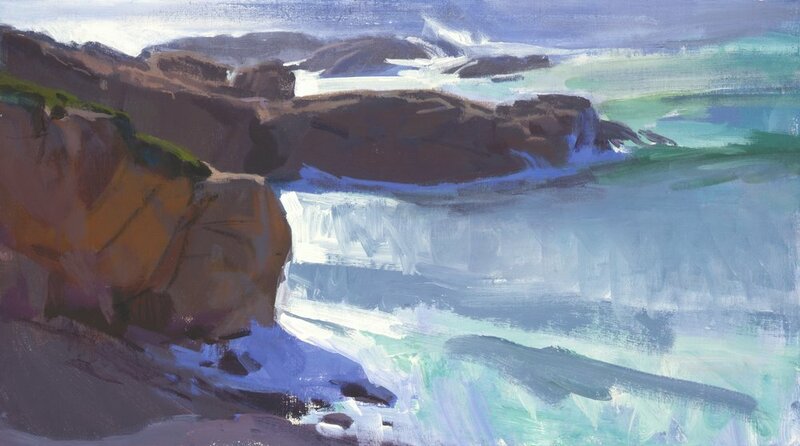 Preserving this coast from development has been a subject of ongoing inspiration for Oak artists for many years. Since 2000, The Land Trust for Santa Barbara County has protected 25,000 acres in Santa Barbara County working with willing land owners, agencies, and foundations through agricultural conservation easements including several ranches in the Gaviota area. Stay tuned for our coming benefit at Atkinson Gallery, Santa Barbara City College, in Spring of 2019. Since 2004 LPFW has led the charge to protect and restore the forests, chaparral, grasslands, rivers, wildlife, and wilderness along California’s Central Coast. It is the only organization focused solely on protecting our region’s public lands, from the famed Big Sur coastline to San Luis Obispo’s Santa Lucia Range and the Carrizo Plain National Monument, all the way to the rugged backcountry of Santa Barbara and Ventura counties. Marin Agricultural Land Trust was formed in 1980 by a coalition of ranchers and environmentalists to preserve farmland in Marin County by purchasing development rights, ensuring these lands would remain in agriculture forever. 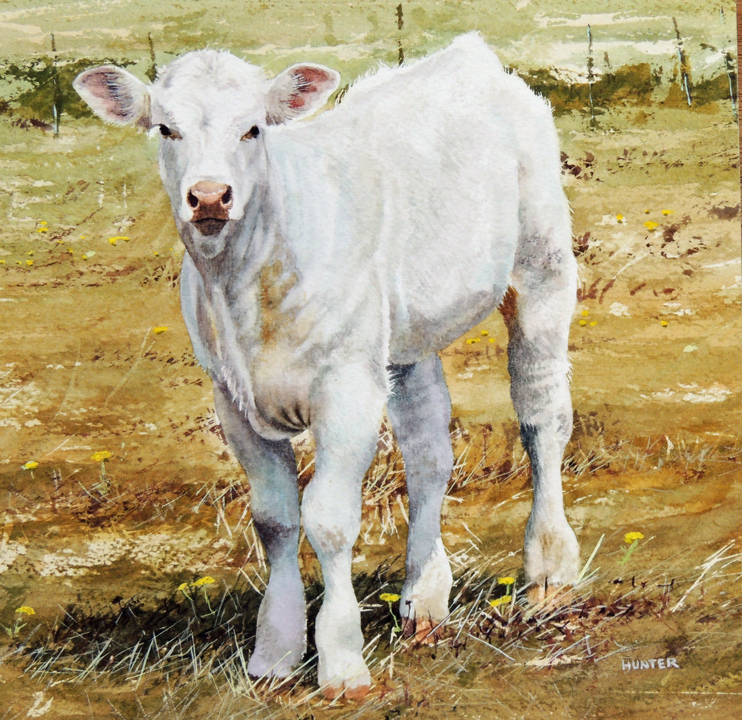 In 1997 the first “Ranches and Rolling Hills” art exhibition brought together the Oak Group and Marin artists. Since then, annual shows each May in Nicasio have helped preserve more than 85 farms, ensuring the food and stunning landscapes that flourish in Marin will endure for people now and in the future. This undeveloped open space consists of 300 acres of coastal bluff savannah and woodland. Located in eastern Goleta and fronted by a pristine white sand beach, More Mesa includes 45 potentially developable acres clustering Hope Ranch. An Oak Group exhibition at Faulkner Gallery, Santa Barbara Public Library, in October 2012 benefitted More Mesa Preservation Coalition, a group of concerned citizens working for the purchase and protection of this unique open space. MMPC’s long-term goal is to work cooperatively with the site’s private owner, government agencies, and the community in order to purchase the remaining 265 acres for long-term preservation. The entirety of More Mesa and its beach could then be managed as a nature park, protecting both the habitat and recreational values of this incredible site. SCI is the largest of the Channel Islands. The Oak Group has been raising funds for the Nature Conservancy’s island fund at Stanton Ranch in the central valley since 1992. There were annual Oak shows on the island for many years as well as mainland venues. Our most recent island show was 2009, and Oak paintings continue to be exhibited and for sale in the historic adobe Comedor. Once part of La Paloma Ranch under Mexican rule, the ranch was sold and subdivided bit by bit since the late 1800s. From the 1970s to 1998 there were a handful of proposed developments. A proposal in 1998 for an equestrian community of 75 homes was denied approval and became the impetus for San Marcos Foothills Coalition. Bermant Development received County approval for 15 single family lots and 5 condominiums and in 2007 donated the remaining 200 acres to Trust for Public Land. San Marcos Foothill Preserve is now a County Park. The Coalition continues its work to ensure proper management and restoration. After a seven year drought, water is more precious than ever in Santa Barbara County. In our 2006 Watersheds exhibition, the Oak Group raised funds for Environmental Defense Center. Since 1977, EDC has been protecting the local environment of Ventura, Santa Barbara, and San Luis Obispo Counties. In November 2013 the Oak Group was given the Wilderness Spirit Award by Wildling Museum in Solvang in an exhibition about Santa Ynez River watershed. This historic 6,000-acre ranch lies in the heart of Santa Ynez Valley at the foot of Grass Mountain and Zaca Peak. “Duke” Sedgwick, a sculptor, and his wife Alice bought the ranch in 1952. Following their deaths, there were conflicting inheritance issues with the bulk of property willed by Duke to UCSB and about 800 acres willed by Alice to the Sedgwick children. 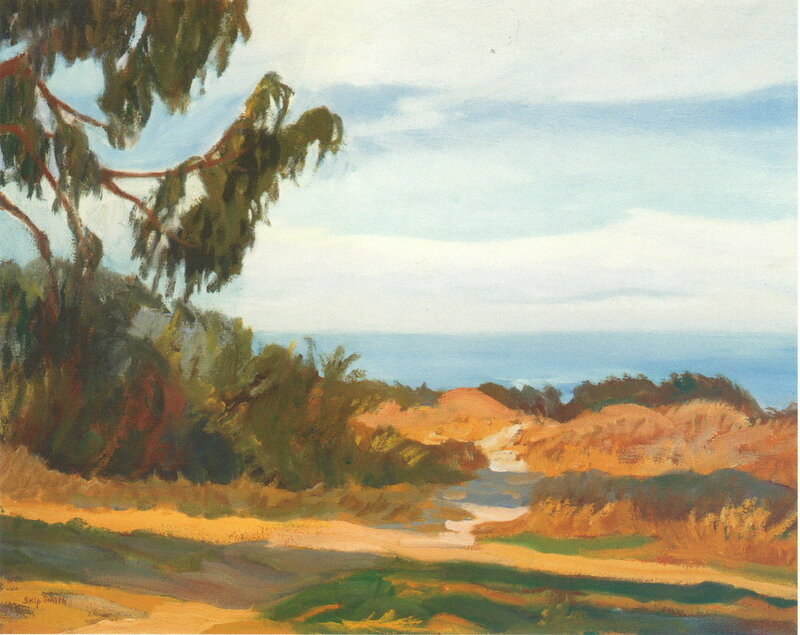 In the early 1990s, motivated by research scientists, The Oak Group, and other artists and preservationists with The Land Trust for Santa Barbara County led a “Save the Sedgwick” campaign to buy out the family heirs and donate the land to UCSB based on the provision that it would become a conservation easement forever protected from development. The UC Natural Reserve System has managed the Sedgwick Reserve since 1997. Today the Reserve is used extensively for research, arts and education programs, and has an organic orchard and vineyard operation.